Wisteria Cottage & Barn is a charming, rustic wedding venue located in Manchester, Maryland. 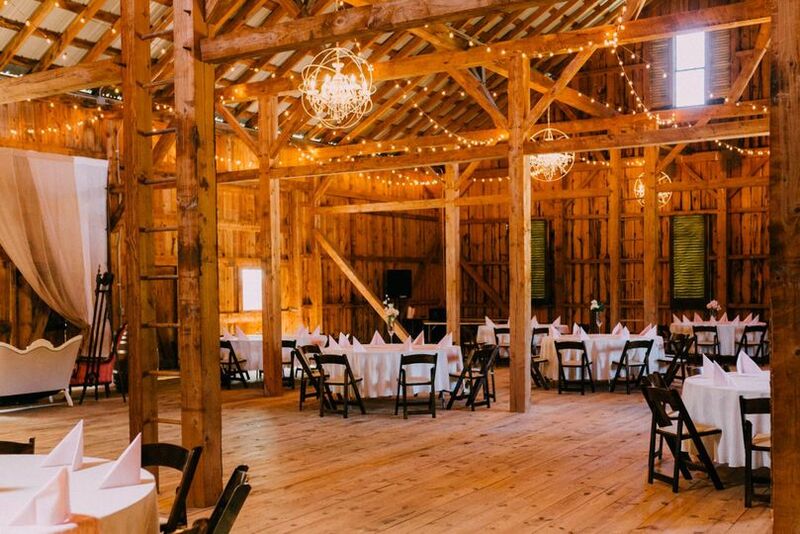 Wisteria Cottage & Barn offers wedding guests full access to a historic cottage, complete with beautiful gardens, a ceremonial lawn, a silo bar, and an Instagrammable bank barn. Located just 45 minutes from Baltimore proper, Wisteria is an exceptional venue for your wedding ceremony or private event. 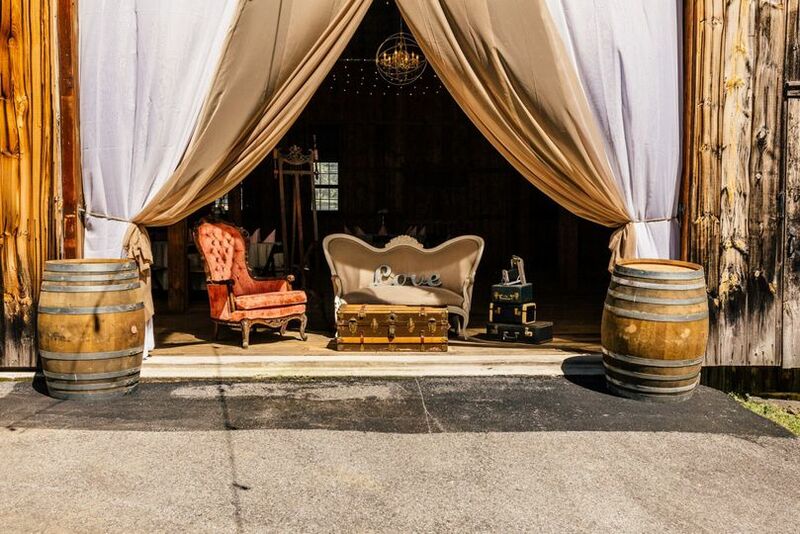 Wisteria Cottage & Barn has five different venue spaces for couples to utilize, including the iconic Barn, the Silo Bar and Cocktail area, the Groom’s Room, the Cottage, and the Ceremony site. Couples have full use of all of these spaces for the duration of the rental period. 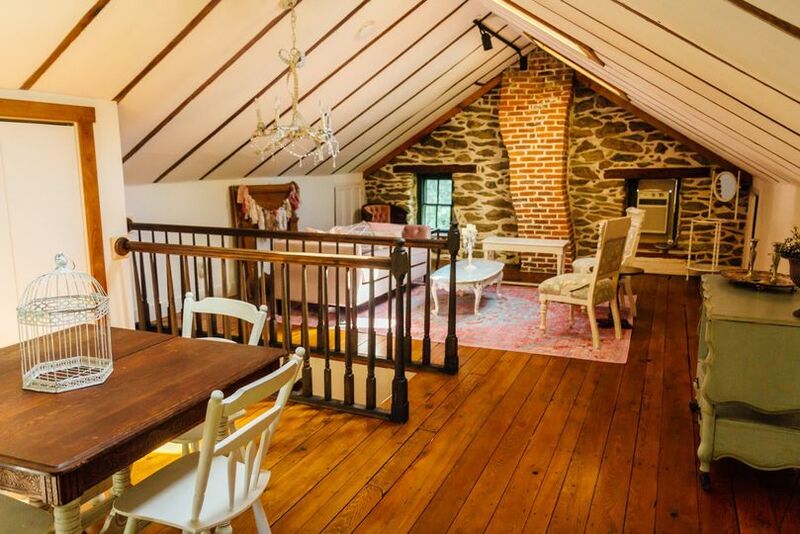 The Barn is 3,200 square feet, offering plenty of room for friends and family. With a set of photogenic sliding barn doors and adorned in rustic wooden fixtures, the Barn can be transformed into a truly magical space. 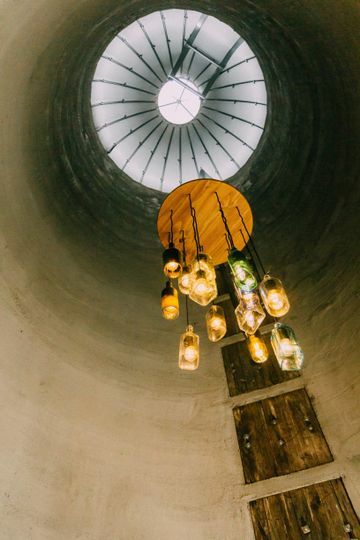 The Silo Bar is a unique outdoor cocktail space, built straight into the center of a grain silo and complete with a chandelier made of liquor bottles. 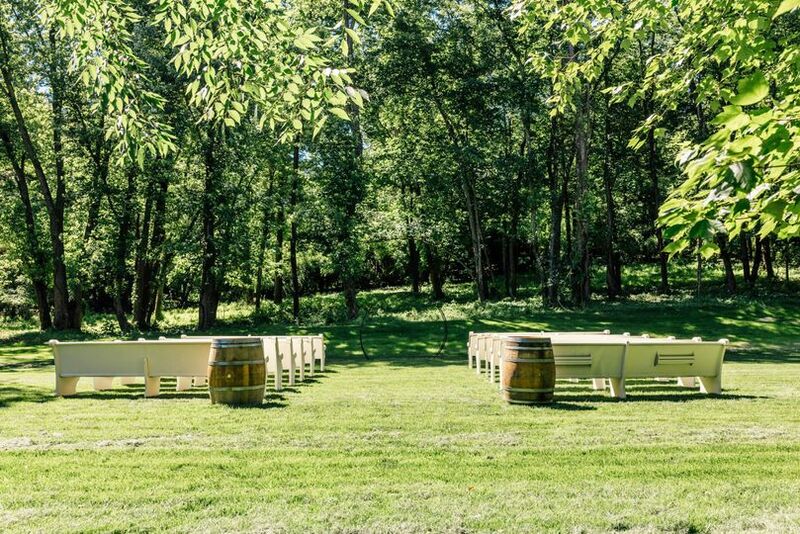 The Ceremony Site is a whimsical outdoor space, set right in the middle of a gorgeous woodland. This space can comfortably fit all of your guests in rows of antique pews. 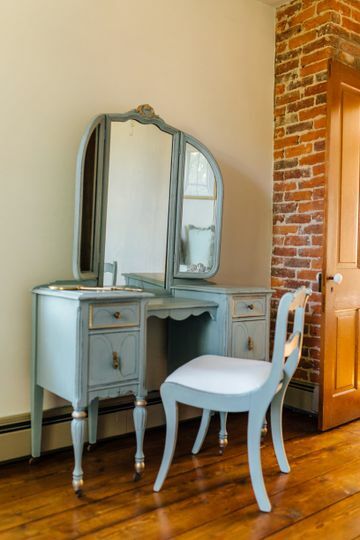 The Cottage is an intimate space that makes for the perfect prep space for your bridal party. Complete with a kitchen, makeup studio, and a separate suite, The Cottage can help fulfill all of your bridal parties expectations. The Groom’s room is set apart from the bridal space and makes for the ideal escape for the groom and his groomsmen to kick back and relax. 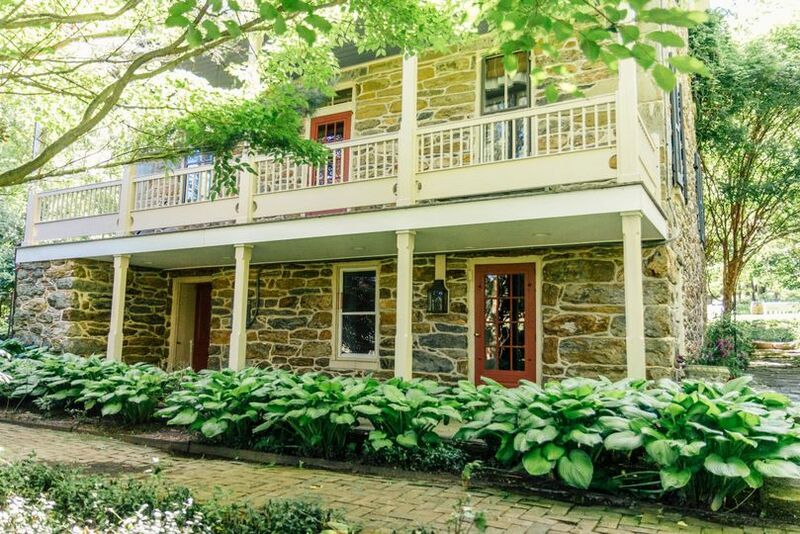 Wisteria Cottage & Barn is perfect for bridal showers, ceremonies, and receptions. Services provided by Wisteria Cottage & Barn staff include assistance with set up, as well as the ability to use outside vendors.